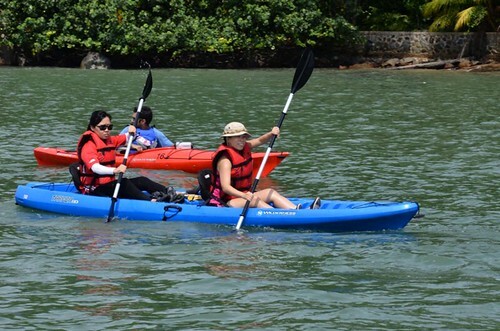 Perfect for all looking to get more of out of the kayaking adventure, the Round Ketam Kayaking Expedition is a must-try for adventure junkies! No prior kayaking experience is required except for a basic level of fitness - our experienced guides are ready at hand to assist you every step of the way, and will tailor the intensity of the journey according to the group. 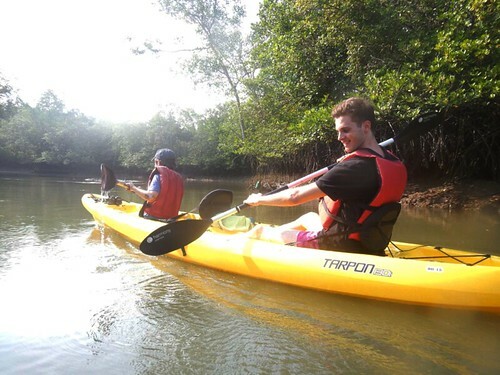 The expedition brings you on a full open sea-kayaking journey towards the South of Ubin to Ketam Island (also known as Crab Island), providing breathtaking scenery and challenging your paddling techniques. Lucky participants with a keen eye may even get to spot otters along this journey as these lovely creatures have been spotted several times along the same route! Children have to be above 7 years old to join this activity. Children aged 7 - 12 years must be accompanied by an adult. Quality equipment and safety gear will be provided. Note: there are limited spaces for this adventure and is subject to first-come-first-serve registration. 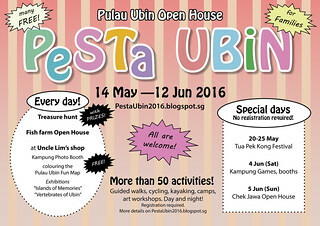 Activities happening every day of Pesta Ubin! 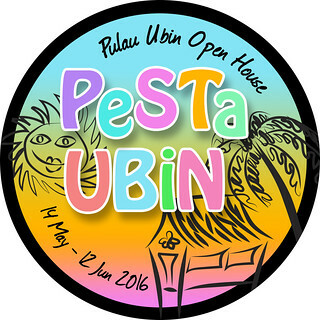 Organising Groups who made Pesta Ubin 2016 possible. Thank you! For you to download and print out and share. Thank you! Pesta Ubin badge for volunteers!